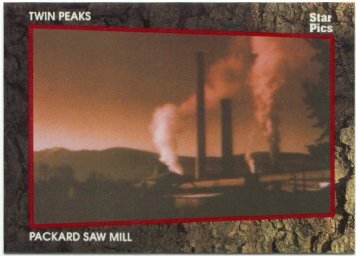 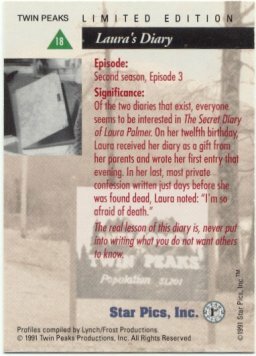 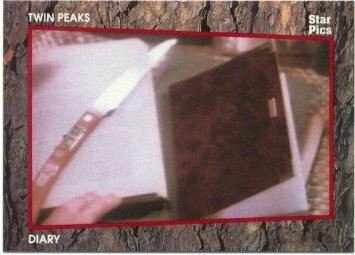 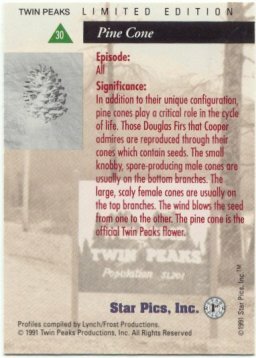 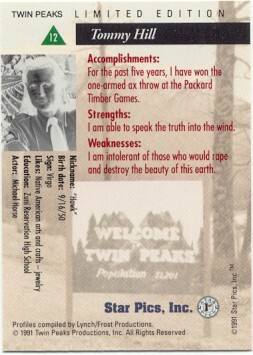 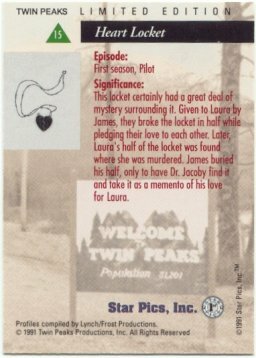 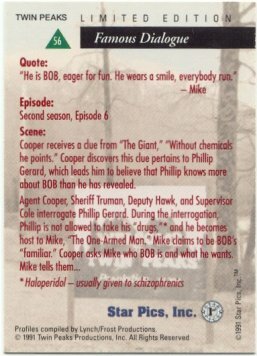 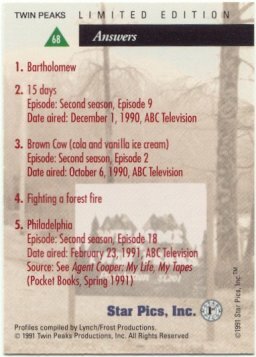 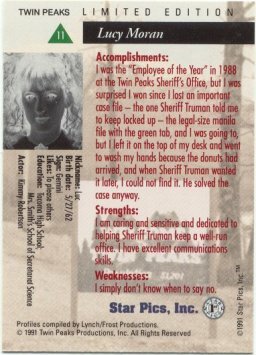 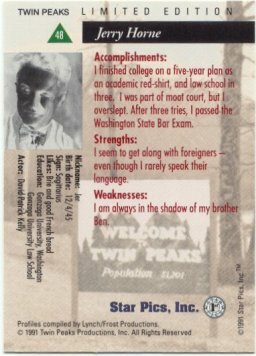 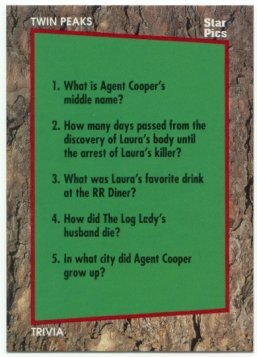 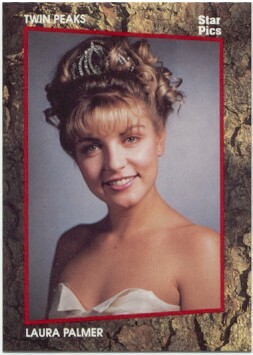 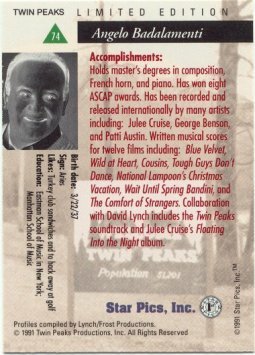 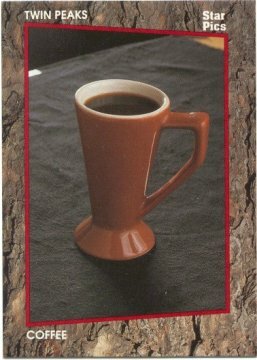 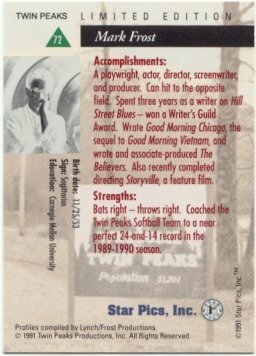 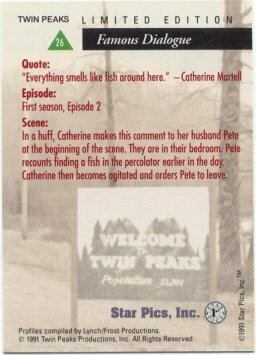 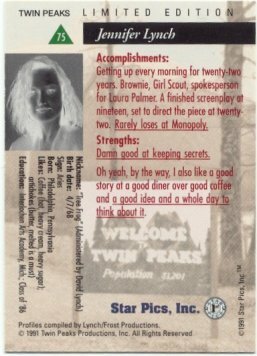 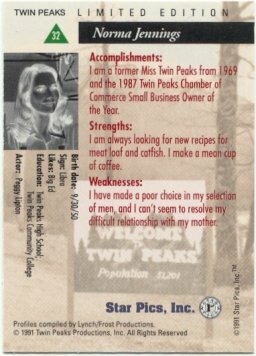 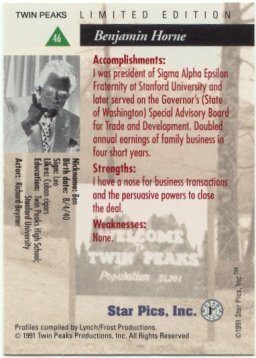 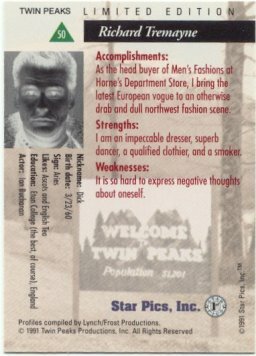 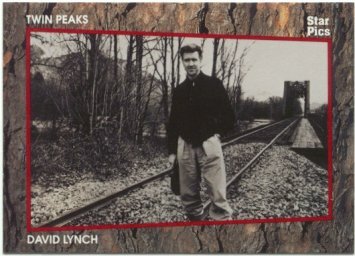 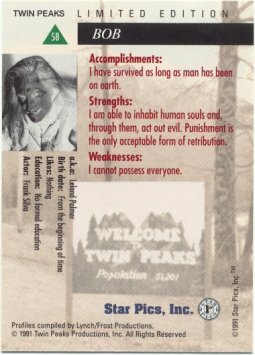 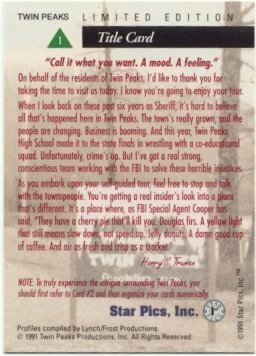 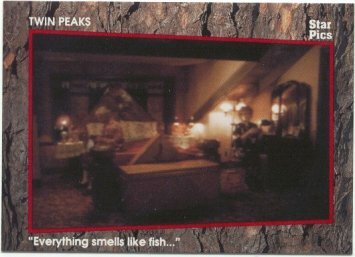 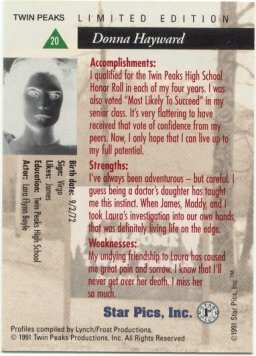 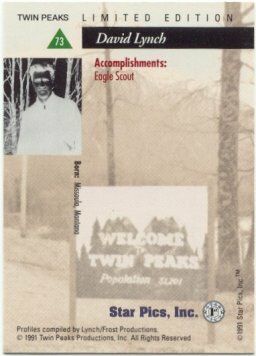 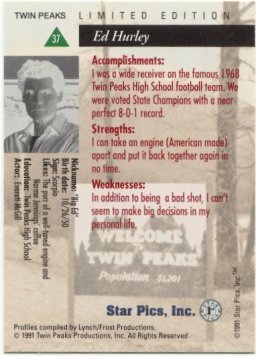 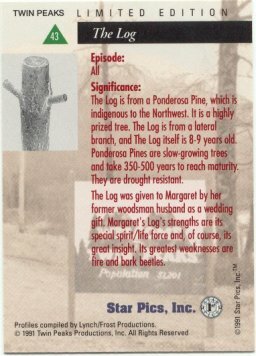 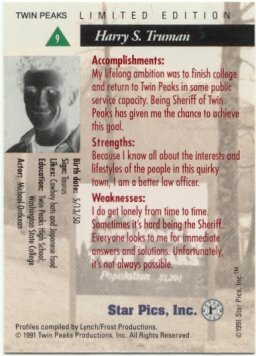 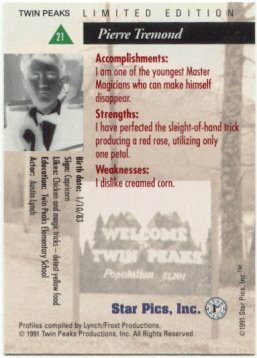 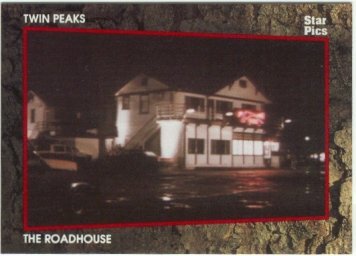 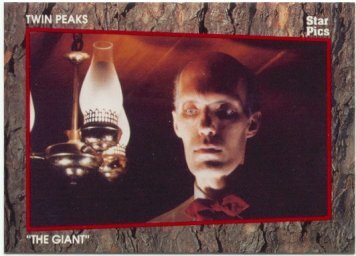 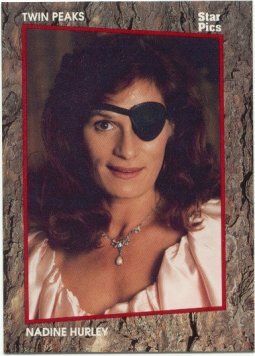 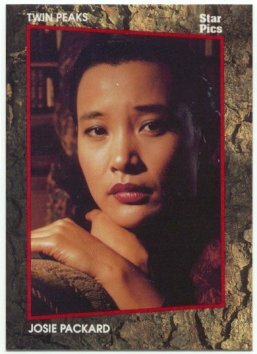 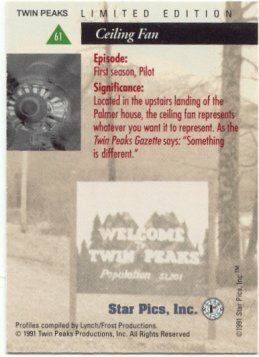 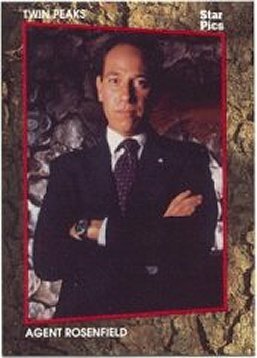 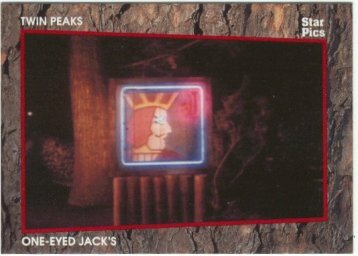 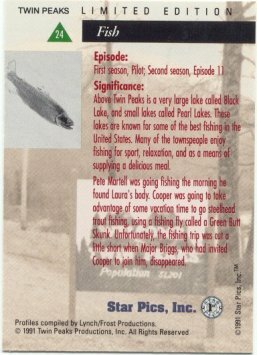 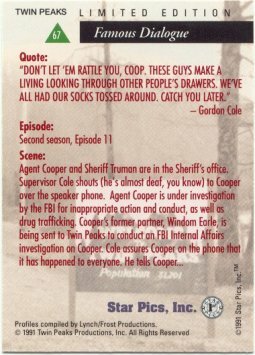 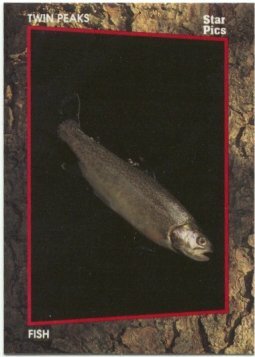 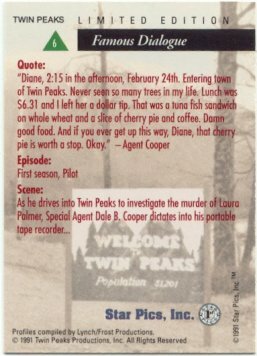 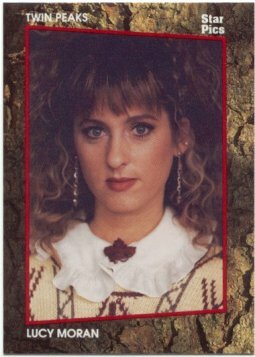 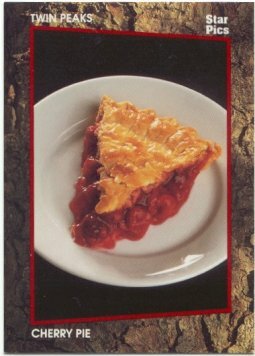 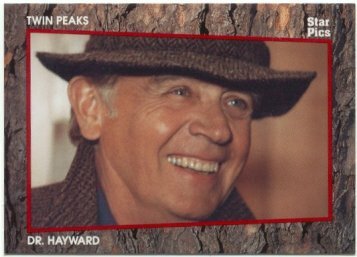 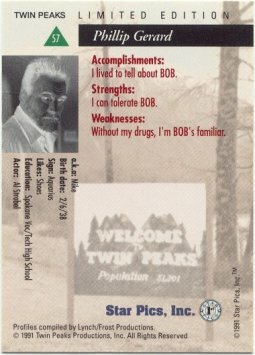 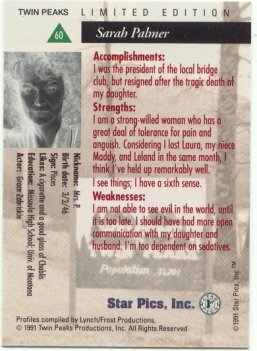 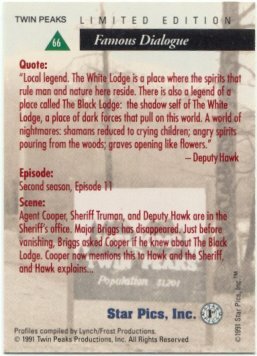 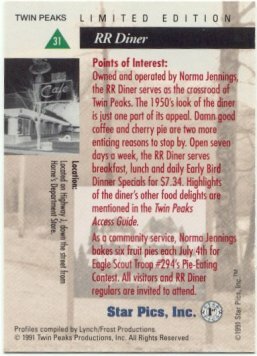 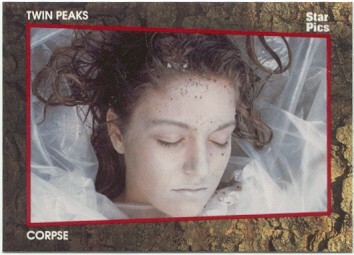 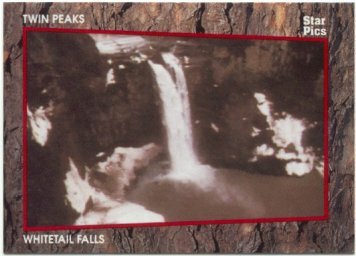 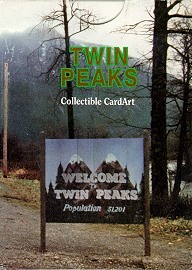 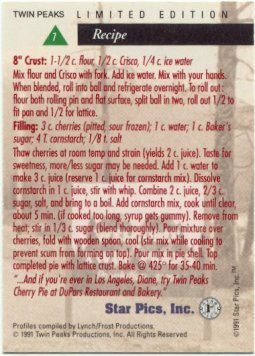 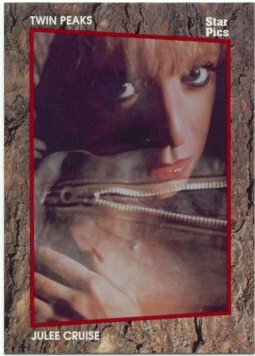 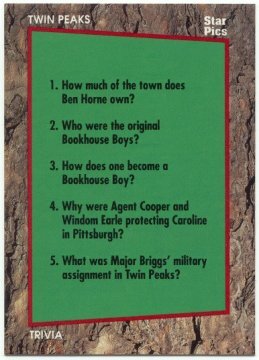 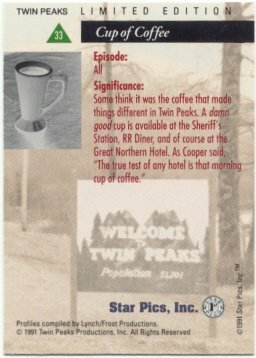 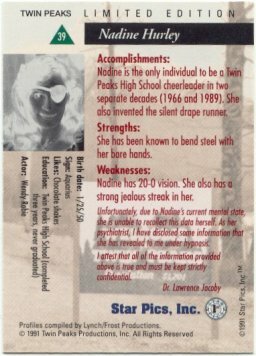 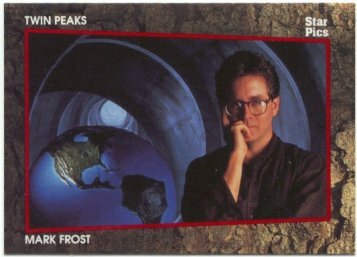 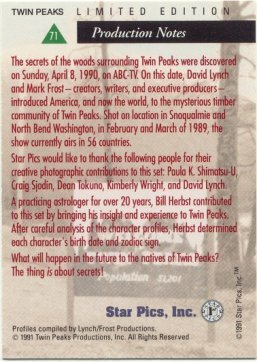 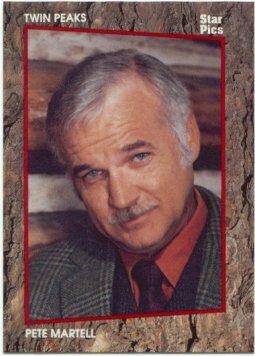 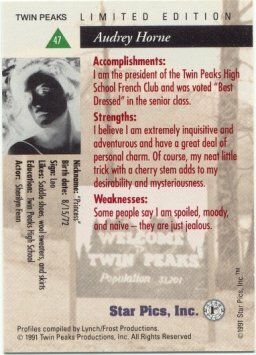 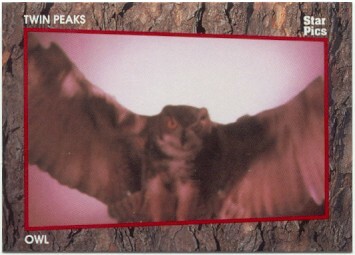 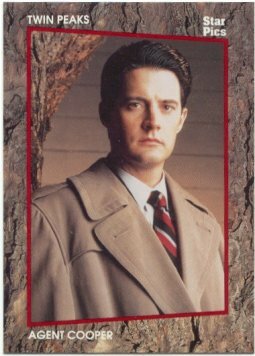 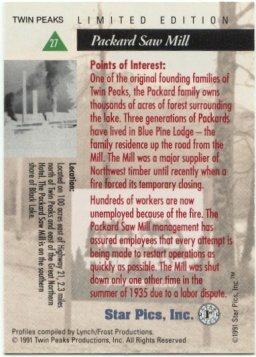 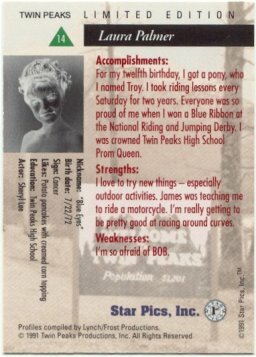 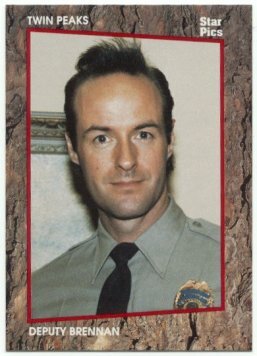 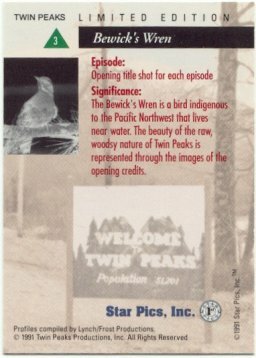 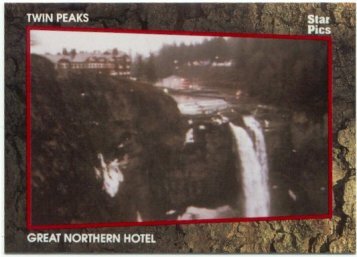 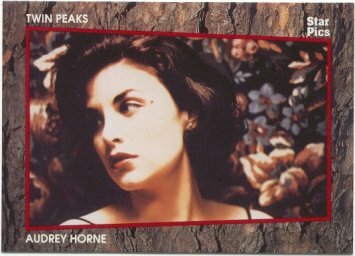 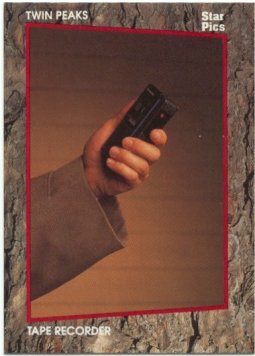 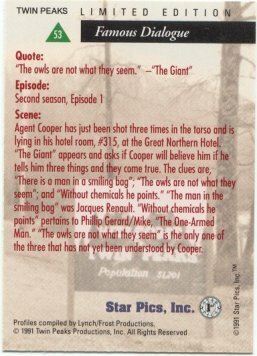 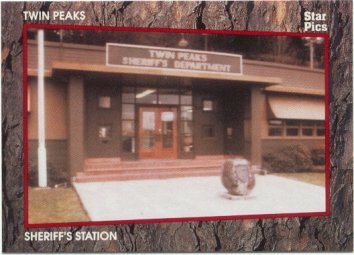 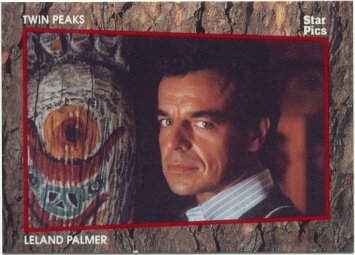 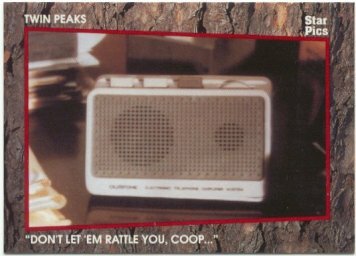 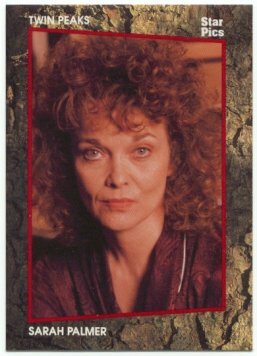 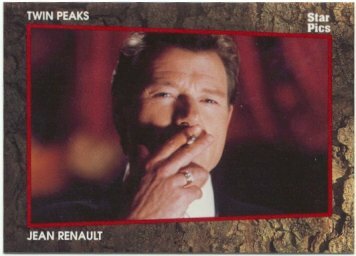 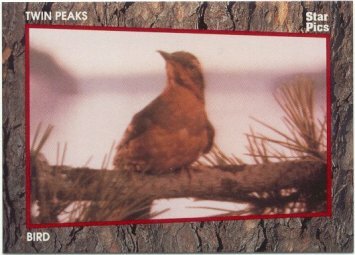 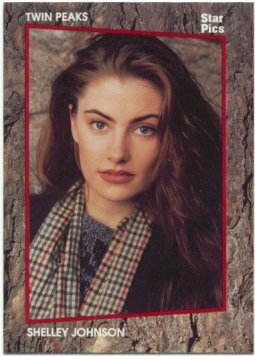 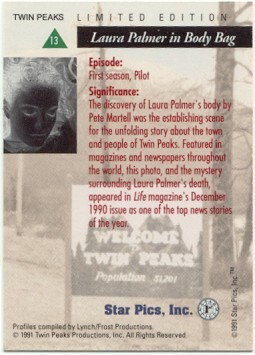 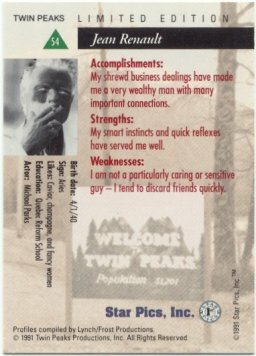 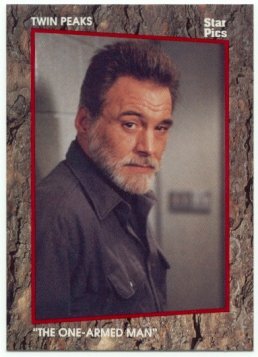 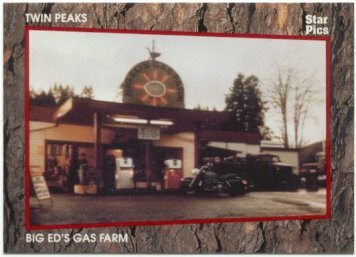 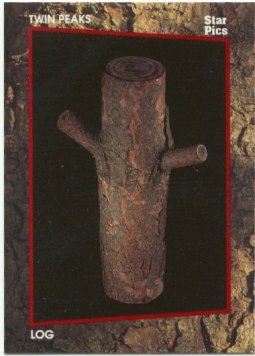 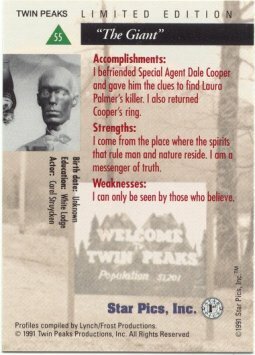 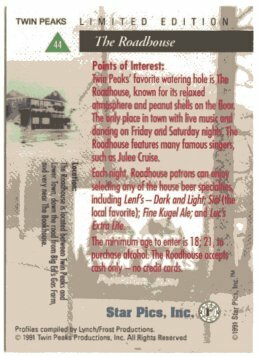 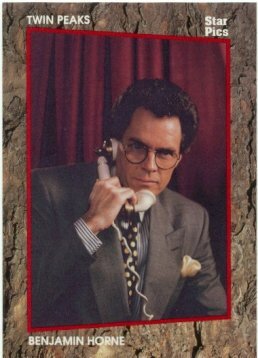 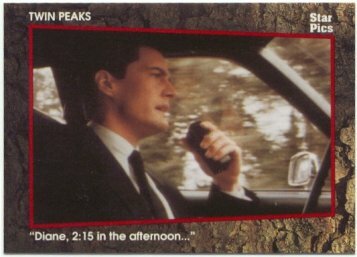 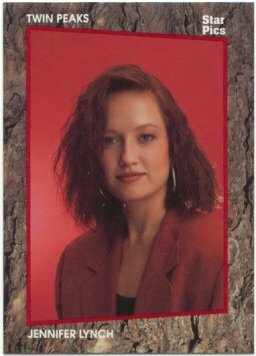 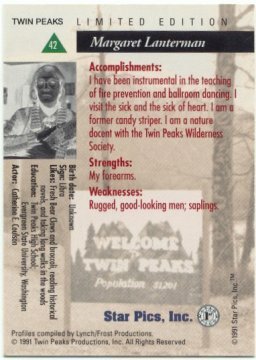 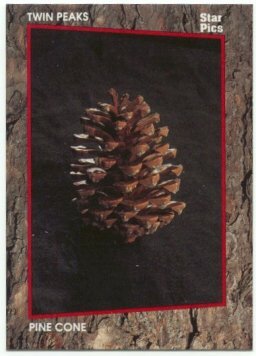 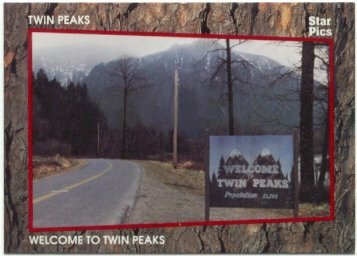 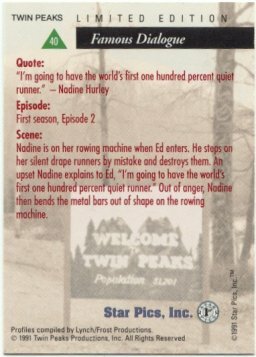 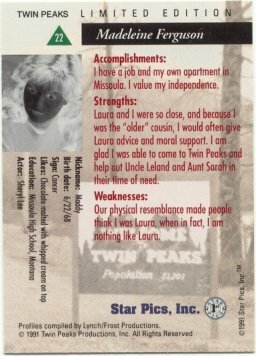 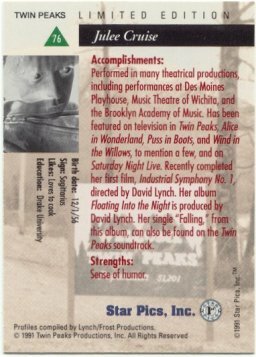 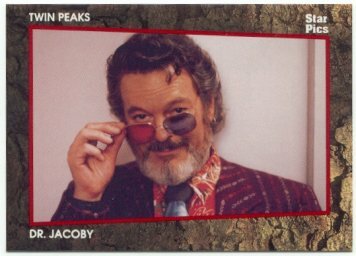 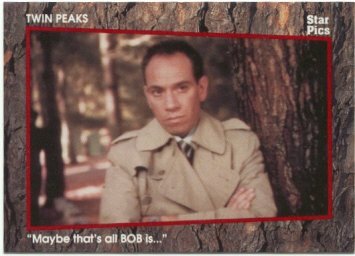 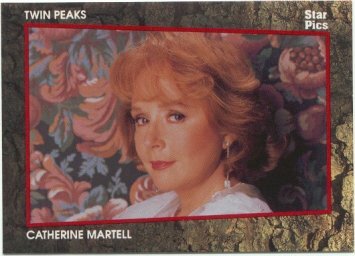 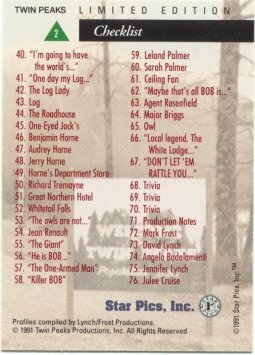 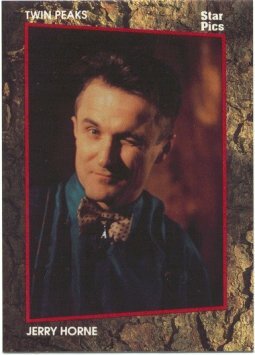 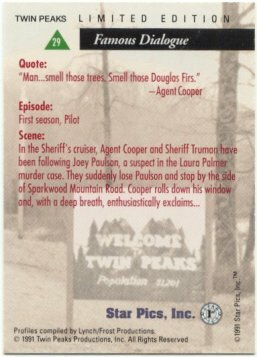 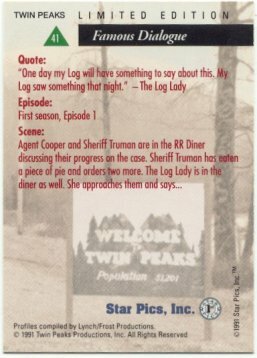 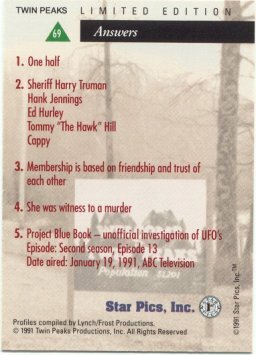 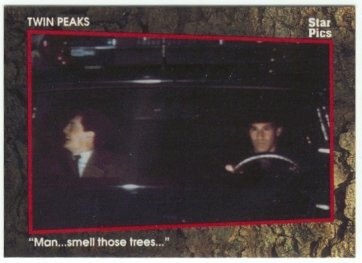 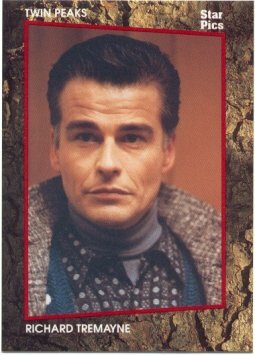 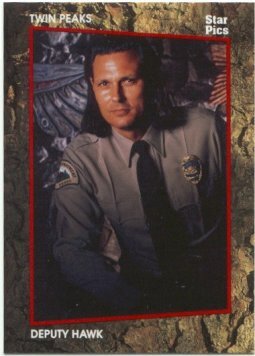 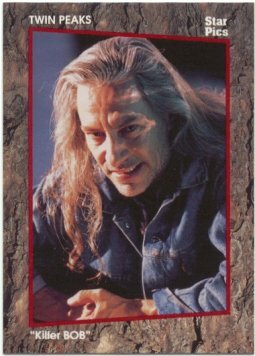 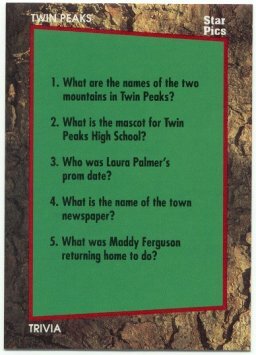 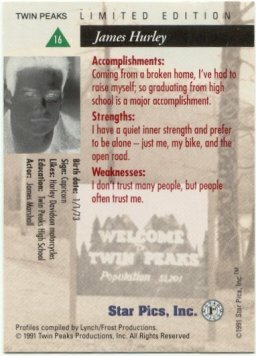 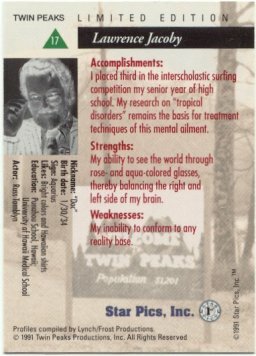 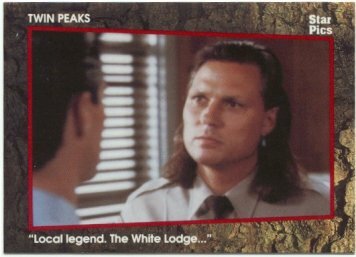 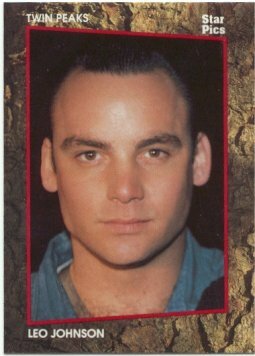 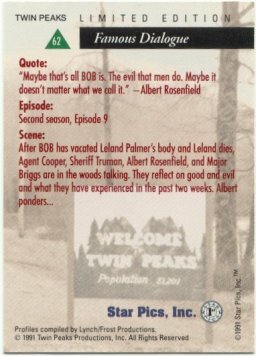 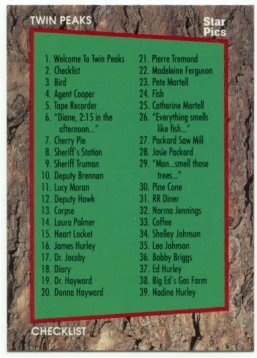 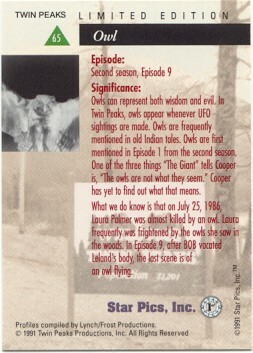 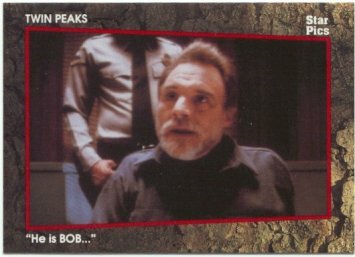 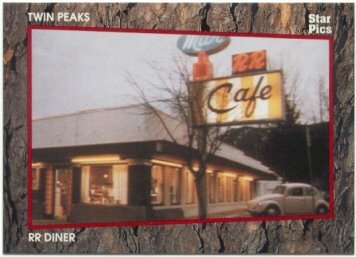 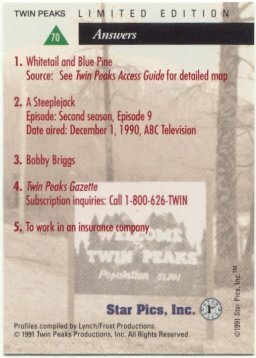 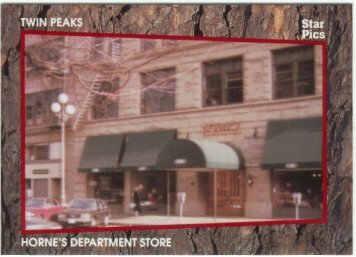 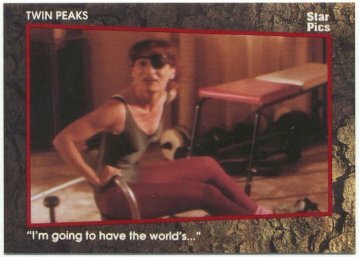 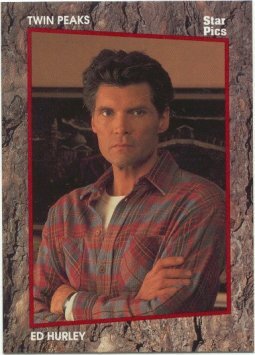 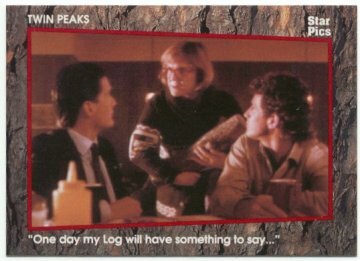 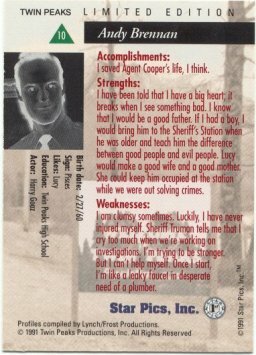 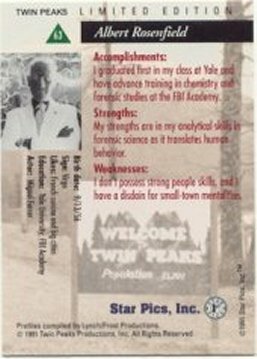 Twin Peaks Card Art Twin Peaks Brewing Co.
A popular Twin Peaks trading/buying item is the collectable Card Art, manufactured by Star Pics Inc. and Twin Peaks Productions, Inc. 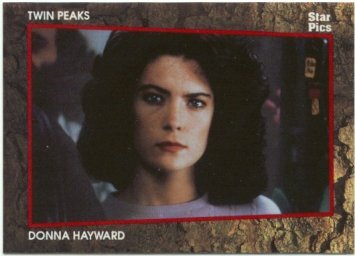 Some lucky buyers found autographed cards in their packs. 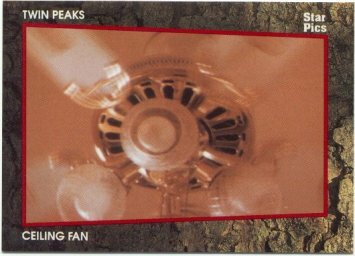 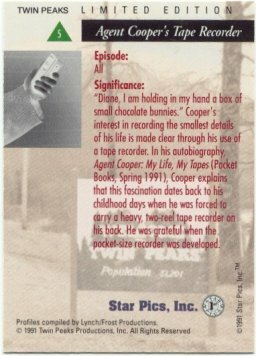 (Amanda got one signed by Harry Goaz in her pack!) 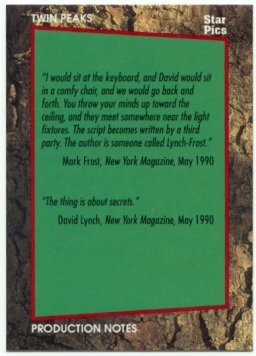 They are still readily available on eBay and not too expensive. 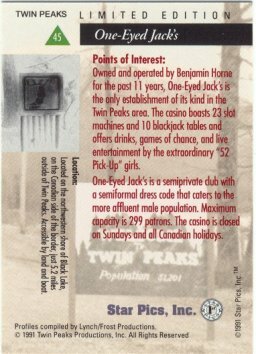 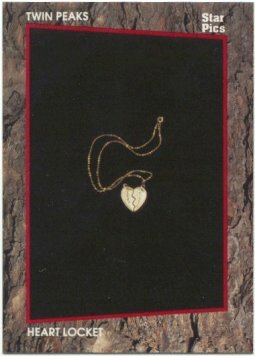 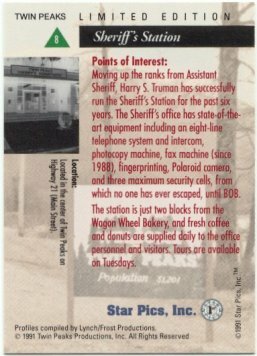 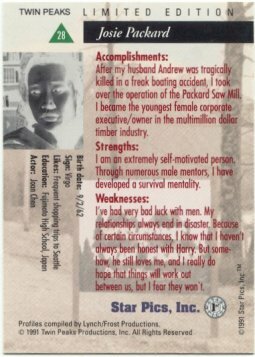 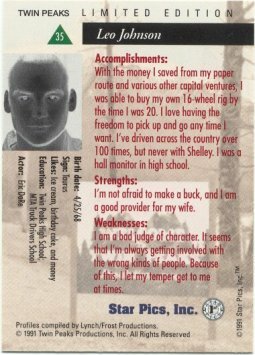 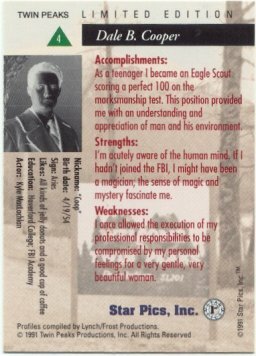 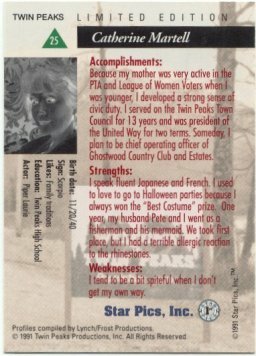 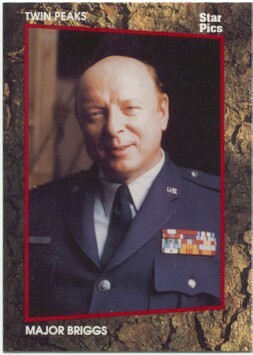 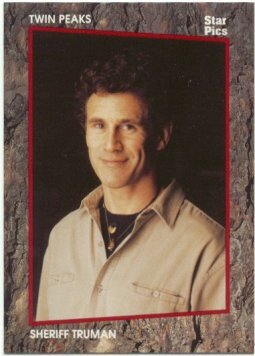 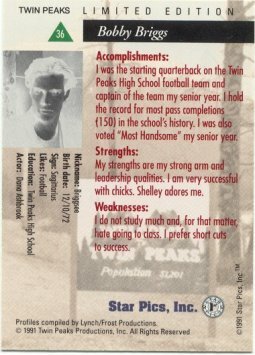 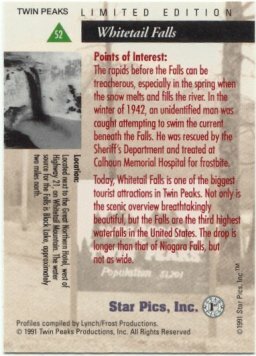 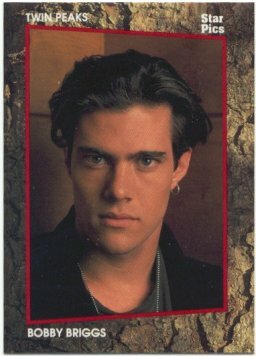 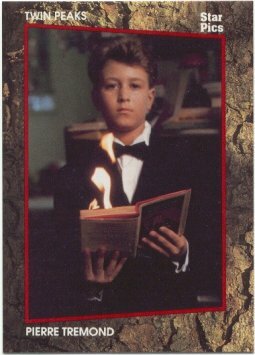 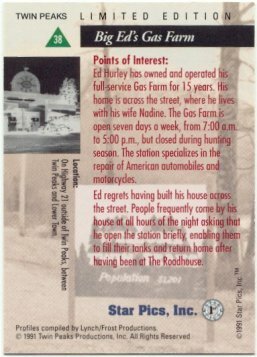 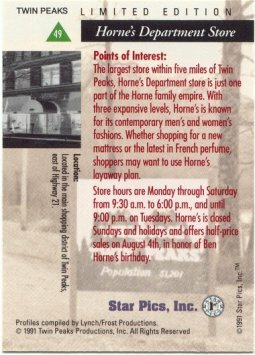 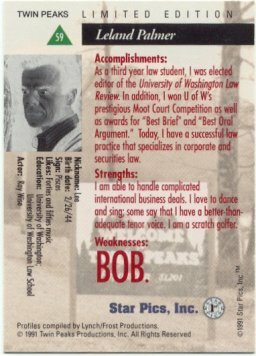 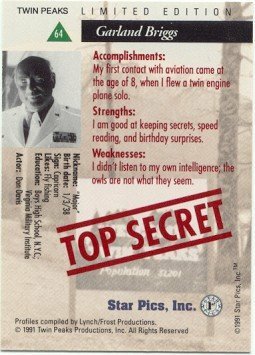 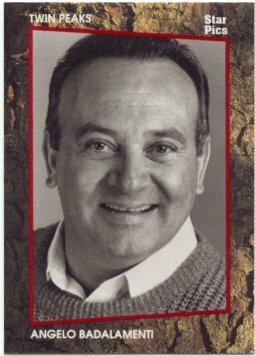 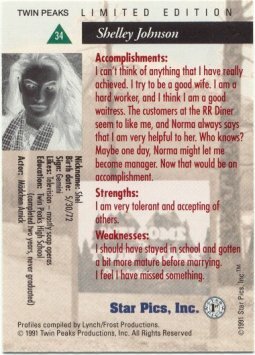 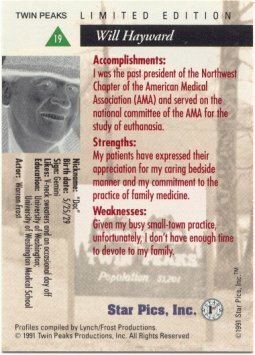 Click on each link to view the card.